Last year, British manufacturer Lister unveiled the Thunder sports car, only for it to be renamed to the less memorable LFT-666. Essentially a Jaguar F-Type on steroids, the LFT-666 is the most powerful model the company has ever made in the company’s 66-year history, packing Jaguar’s 5.0-liter supercharged V8 tuned to produce a devilish 666 horsepower. Following high demand, Lister has announced it’s also building an open-top version aptly named the LFT-C.
Slated to launch this summer, the LFT-C is the most powerful open-top supercar Lister has ever made. Thanks to its Lister-tuned and supercharged 666-hp V8 engine, the LFT-C has a top speed of over 205 mph and a 0-62 mph time of just over three seconds. It will launch the same year as the LFP based on the F-Pace, which has a top speed of over 200 mph. Each LFT-C will feature unique carbon fiber body panels designed and manufactured by Lister. New parts include a front bumper, front splitter, rear diffuser, rear lip spoiler, rear extended wheel arches, a new grille design, and new lightweight alloy wheels fitted with Michelin tires. Lister has also uprated the suspension and braking system and added a bespoke exhaust system to enhance the sound of the 666-hp supercharged V8 engine. While the LFT-666 is limited to 99 cars, the LFT-C will be an even rarer sight on the road as only ten are being built. Lister says the entire 2019 allocation for the LFT-666 is sold out, but buyers can still place an order for delivery in early 2020. 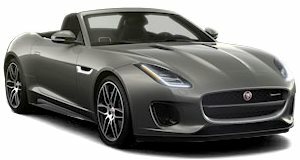 If you already own an F-Type coupe or convertible, Lister is also offering wheel and body enhancements for all Jaguar F-Type models worldwide, with kits starting from just £9,750 ($12,890) for a Lister badge, bumper and wheel upgrade. Cars with only the Lister body enhancements will be known as simply the Lister LFT, with no horsepower denotation added.